Patients that suffer from bone cancer in the ribs or lung cancer that gas spread into the inner portion of the chest, require a resection of the thoracic wall. An artificial device is thus required to reconstruct the chest wall to prevent lung collapse and resume normal breathing. In a rib resection it is vital to also maintain the patient’s normal physiology. Chest wall reconstruction can be complicated and surgeons are sometimes limited by the available tools and products on the market. 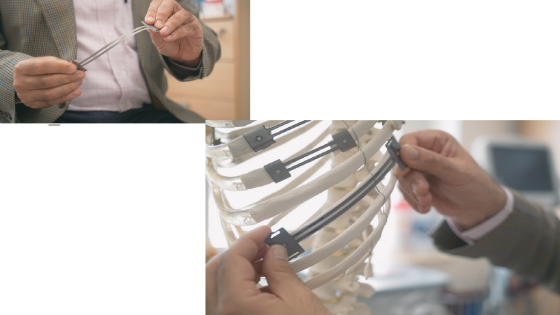 In response to the insufficiency of existing solutions for fractured and replacement ribs, a research team at the University of Malta designed and produced an artificial rib made out of a titanium alloy. A European Community Design Application (no. 001420863-0001) was submitted by the University of Malta in 2014, followed by a US design application in March 2015 claiming priority from the corresponding Community design. We are looking for licencees, ideally orthopaedic product manufacturers, to manufacture and sell the product.